Apologies for somewhat majorly neglecting my blog in last few months- it's been a hectic few months with exams and the like, but I'm back now and refreshed and I have a whole new armory of lovely things to review!! I have gotten a few requests from different people. on the blogosphere and elsewhere, to post photos of my make up collection and how I store my make up. How better to knock off the blogging cobwebs that have crept up in the last few months than arranging everything for a snap! I have such a pile of stuff that I will have to take it section by section, but I'll get there slowly but surely! I'm looking forward to diversifying also and I have some jewellery and fashion haul posts to come also, fun times ahead indeed, so keep following! 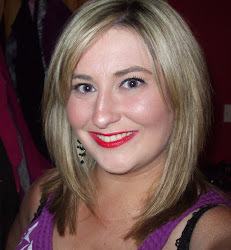 To mark my return to the blogosphere, I will share one of my fave make up related tunes! This is incredibly catchy, maybe even head-wreckingly so, but it's in theme and on point, get this on your Ipod stat cos it's poppin'!